“We really want to expand our brand,” Michael Gibson, co-founder and chairman of CVG Group, owner of Ebony and Jet, told Journal-isms by telephone, calling plans for the company “very exciting.” He outlined some of those intentions, part of a “strategic turn” for the company that he said follows recommendations from consultants. Gibson said he expects a subscription logjam to be resolved soon and settlement with remaining unpaid freelancers within 60 to 90 days. Gibson said he was particularly excited by a deal announced last week with WME, one of the world’s largest talent agencies, which could lead to turning archival Ebony stories into documentaries or television series. Hollywood “seems to be looking for diverse content now. They have great ideas,” Gibson said of WME, which was formed in 2009 by a merger of the William Morris Agency and the Endeavor Agency. The company also plans to expand the number of special events it conducts, such as its Women Up! programs that celebrate “amazing inﬂuencers in the world of media, business, community action, beauty and style,” as the 2016 event was described. Ebony also has identified six historically black colleges and universities at which it will partner with the National Football League to bring athletes to the campus. Ebony will name “ambassadors” to these HBCUs. A partnership with the Walt Disney Co. is to bring the winner of Ebony’s “HBCU Campus Queens” contest to Walt Disney World. Special newsstand-only issues featuring Barack Obama and then Michelle Obama have “exceeded all expectations,” Gibson said. Six special issues are planned each year, in addition to Ebony’s regular eight issues and four print editions of Jet. 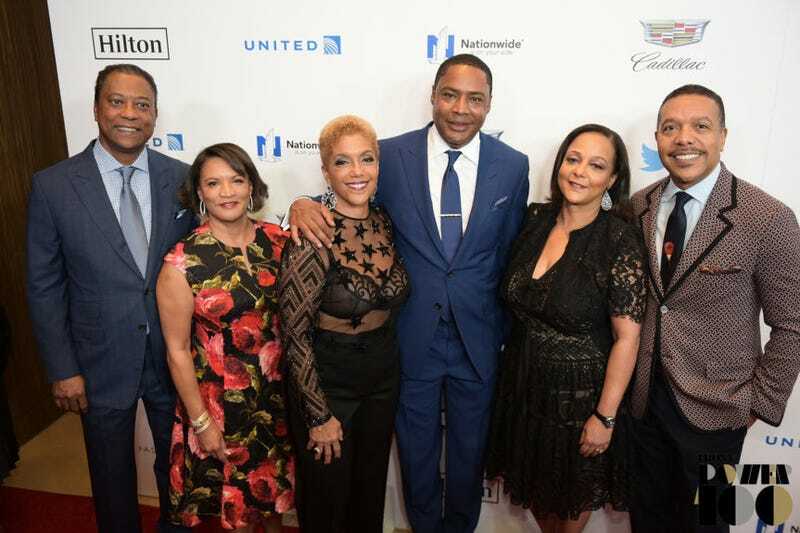 Linda Johnson Rice, CEO of Ebony Media Operations and the daughter of Ebony and Jet founders John H. and Eunice Johnson, announced on Friday that Jet editor-in-chief Tracey M. Ferguson, based in Los Angeles, would also become editor-in-chief of Ebony. Most of the Ebony masthead was let go. Gibson confirmed that most of Ebony’s editorial staff would now be based in Los Angeles (the fashion, lifestyle, travel and some of the digital team will remain in New York) but said Rice and the production staff would remain in Chicago and an advertising staff in New York. He and Willard Jackson, CVG co-founder and vice chairman, will remain in Austin and Houston, Texas, respectively. “Seventy percent of the covers are being shot in Los Angeles,” Gibson said of Ebony. “Whenever that happens, we have to fly a whole staff out and spend a couple of days doing the shoot.” It made sense to relocate, he said. It also was better to have the same editor for both publications, Gibson said. Ferguson “will be hiring new folks” and expanding the publications’ digital presence, he said. Jet is targeting millennials. Gibson acknowledged that he didn’t anticipate “the scope” of the changes that would take place when he bought the company last year. Consultants spent 90 to 120 days conducting two major studies, completed in September, that resulted in much of the current restructuring, he said. In addition, Curtis Circulation Co., based in New Milford, N.J., analyzed cover titles from the last couple of years and pinpointed what topics would “make sense” in the future, he said. The missing issues are on their way to readers, Gibson told Journal-isms. Similarly, he said, “We really value our freelancers,” some of whom have complained on social media about not being paid. “In the transition, a few freelancers fell by the wayside,” Gibson said, adding that most payments have been made and that the rest would be delivered within 60 to 90 days. The layoffs have been greeted with alarm. The National Association of Black Journalists, for example, said Friday that it was “disheartened” by the news. “Our clients are very, very excited” about the expansion plans, he said.